Roaring Lion and Cracksman are firmly on course for a mouthwatering clash in the QIPCO Champion Stakes at Ascot on October 20. 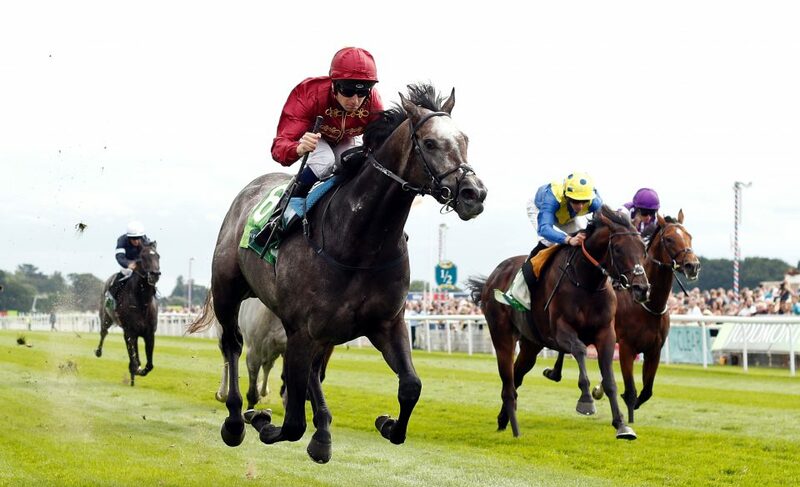 Roaring Lion has carried all before him in the second half of the season, completing a hat-trick of Group One wins in the Coral-Eclipse at Sandown, the Juddmonte International at York and the Irish Champion Stakes at Leopardstown. The Qatar Racing-owned three-year-old has the Queen Elizabeth II Stakes as a back-up option on Saturday week, but Gosden confirmed the Champion Stakes as his preferred target. He said: “Hopefully he is going to the Champion Stakes. He has been a fabulous horse to train and I’ve never had a horse get bigger and stronger like he has. He has got some constitution, to take the racing and the training. Stablemate Cracksman was a brilliant winner of last year’s Champion Stakes, but will defend his crown with something to prove having been off the track since suffering a shock defeat in the Prince of Wales’s Stakes at Royal Ascot in June. Gosden has considered fitting the four-year-old with headgear on what is set to be his final outing before being retired to stud. “The old boy is in top order. He runs in the Champion Stakes and I should think that would be his last race,” the Clarehaven handler added. “I’m considering all options. There has always been a prejudice in this country against blinkers and anything of that nature. The great horses like Northern Dancer and Secretariat consistently run in blinkers and we thought nothing of it in America. Roaring Lion and Cracksman will be part of a formidable Gosden army heading to Ascot. Stradivarius will be considered as the banker of the day by many as he bids to add to his victories in the Yorkshire Cup, Ascot Gold Cup, Gold Cup and Lonsdale Cup in the QIPCO British Champions Long Distance Cup. Without Parole will bid to bounce back to form in the QEII, while St Leger runner-up Lah Ti Dar and the ultra-consistent Coronet are booked for the Qipco British Champions Fillies & Mares Stakes.